I personally think this box came right on time for the cooler Fall temps we’ve been having. 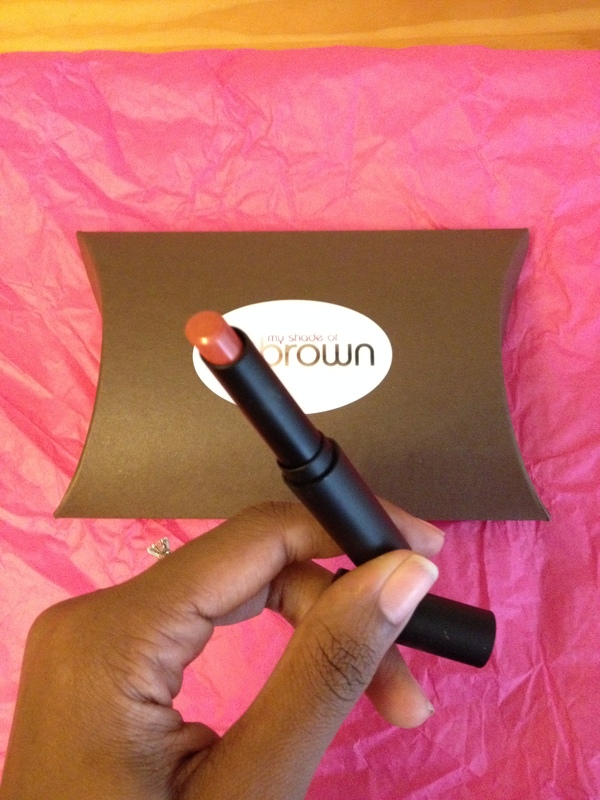 I must say that my favorite item in this month’s box is the Pink Parlor Lip Stick…I’ve only swatched it but I think it compliments my skin tone beautifully. 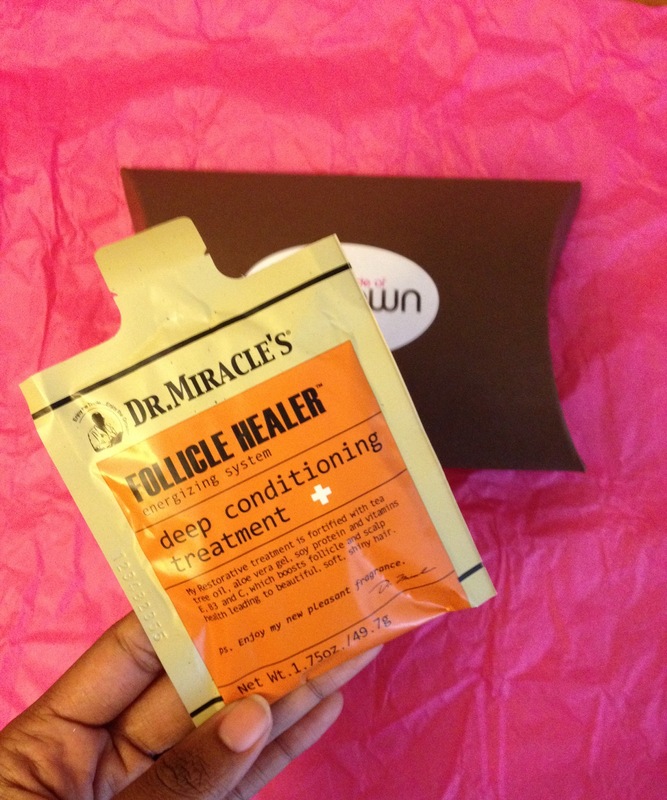 And I can’t wait to try the Dr. Miracle’s sample, I’ve tons of great things about their products recently. Stay connected with Our Shade of Brown…. And for details on how you can get your own Pillow Box check out their website. 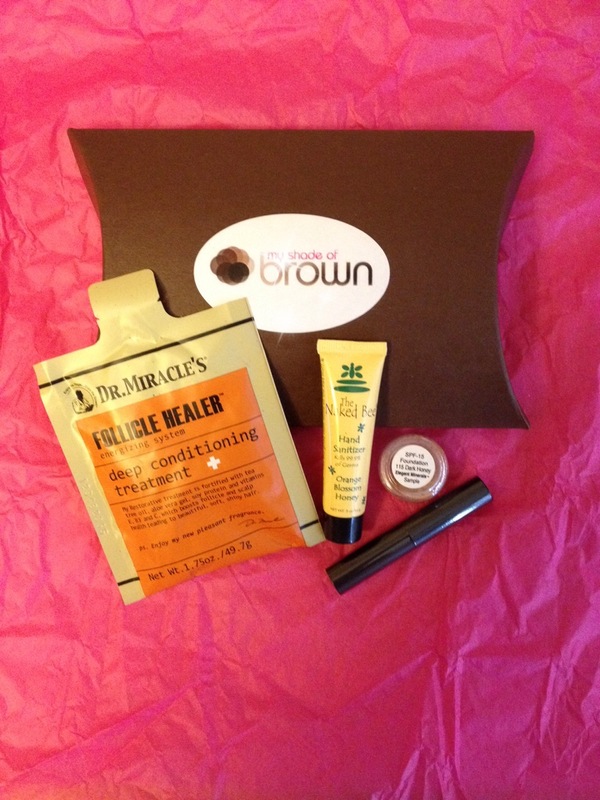 Have you signed up for Our Shade of Brown yet? What subscription services are you signed up for? What is your fall/winter must have beauty item? 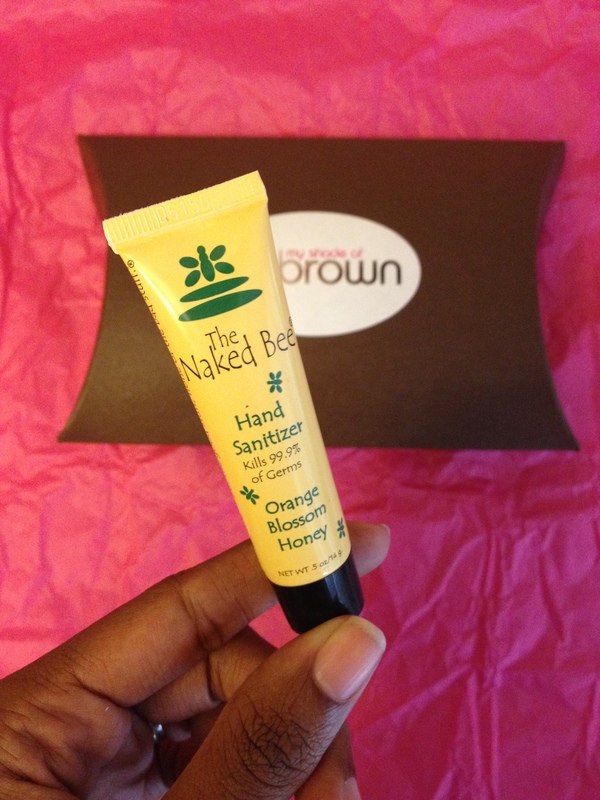 This entry was posted in My Shade of Brown, Savvy Beauty Tips and tagged Dr. 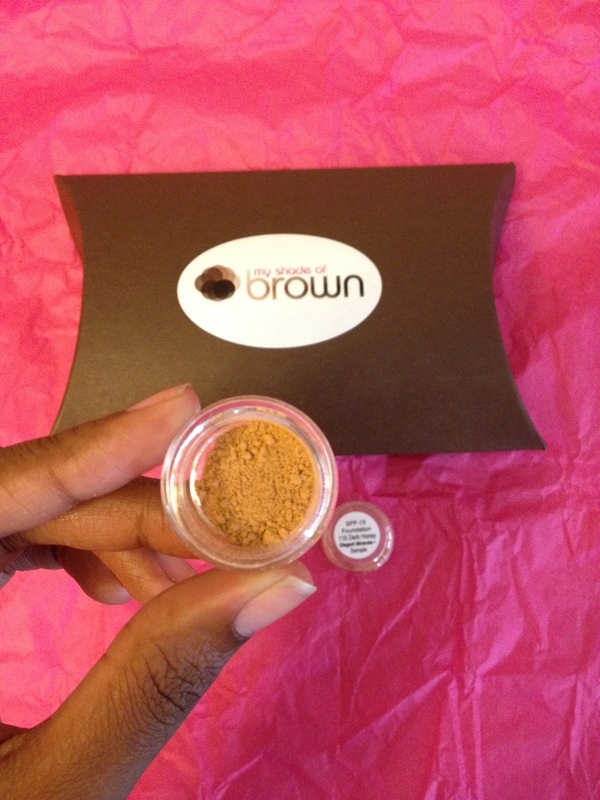 Miracle's, Elegant Minerals, Our Shade of Brown, Pink Powder Parlor, The Naked Bee on October 28, 2013 by Roni the Savvy Housewife.